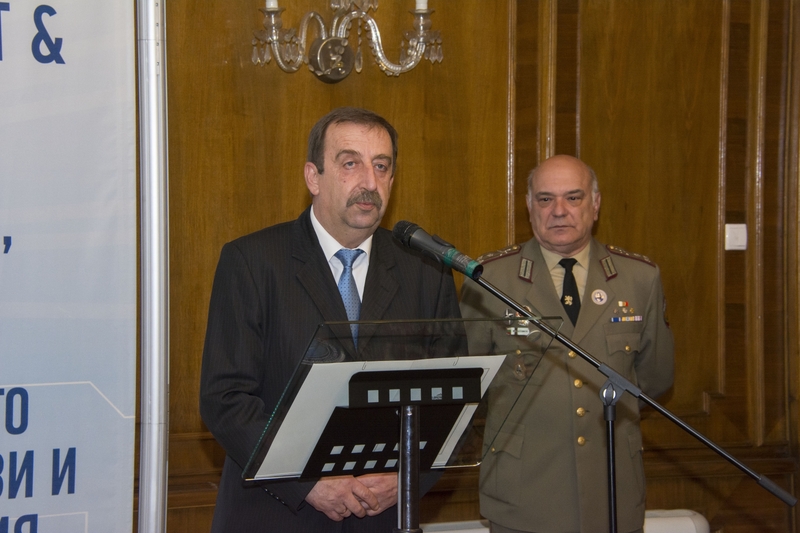 The celebration was marked by a reception and an official welcome and awarding ceremony, on which, by order of the Minister of Defence of the Republic of Bulgaria, Mr. Stefan Yanev, eight CMDR COE military and civilian staff members were presented with awarding sings and prizes for outstanding performance. The event took place at the Lozenets Residence, and gathered high ranking officials and representatives from governmental and non-governmental organisations from the crisis management and disaster response community. The CMDR COE was pleased to welcome the Deputy Minister of Defence of the Republic of Bulgaria, Mr. Stefan Petrov, the honourable Ambassadors of the Republic of Albania, the Republic of Croatia, the Republic of Poland, the Republic of Turkey and the United States of America to the Republic of Bulgaria, as well as flag officers among whom the Commanders of the Joint Forces Command, of the Bulgarian Land Forces and of the Bulgarian Air Force, as well as the Director of the Fire Safety and Civil Protection Chief Directorate (BGR MoI), the President of the Atlantic Club of Bulgaria and representatives from other CMDR COE partner institutions. The celebration was opened by the CMDR COE Director, Colonel Vassil Roussinov, who warmly welcomed all guests and expressed his gratitude to CMDR COE staff members for their dedication, motivation and hard work in pursuit of the Centre’s objectives. He also briefed on the CMDR COE’s main achievements during the past two years and highlighted the Centre’s future priorities, noting that strong cooperation and collaborative partnerships are key to lasting peace and sustainable security.